This large Crystal Chalice Vase is a breathtaking piece. Perfect for floating candles, floral arrangement or candy dish. 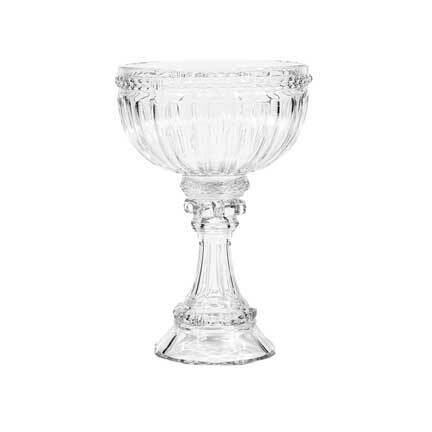 Chalice Vase has a deeper bowl than the Crystal Compote. It measures 14" high and 9" wide.